Do you want to be a better CNC'er in 37 Seconds? It's that easy. You can install and get results now. This is a sub-section of our CNC Machining and Manufacturing Cookbook. 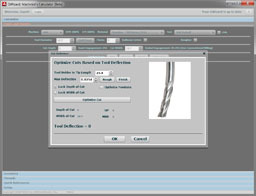 It offers articles about CNC Tooling, Workholding, and Fixturing Techniques. The overall Machining Cookbook is organized according to the Manufacturing Lifecycle, and these articles are germain to the Setup portion of the Lifecycle. What Are the Best Toolholders? CNC 4th Axis Basics Series of Articles: What they can do, how they work, workholding, etc. No credit card required--just your name and email. All material © 2010-2017, CNCCookbook, Inc.